Wicked Broadway Musical grossed $1,858,318 and had an attendance rate of 99.7%, about 3.8% more than that of the previous week. The 27 shows on the boards grossed $25,537,731, improving around 5.4% from the previous week’s totals. There are two national tours concurrently traversing the North America and Canada. So far announced, Wicked musical will be touring through October 2014. Wicked the Musical is still in standing production at the Gershwin Theatre. Wicked the Musical is not the only production on Broadway, the big budget musical with national tour. Wicked musical is currently playing on tour in New Orleans, Louisiana at Mahalia Jackson Theatre through June 02, 2013 and in Madison Wisconsin at the Overture Center through June 09, 2013. From here the touring productions will move to Columbus, OH and Milwaukee, WI respectively. Broadway’s biggest blockbuster, Wicked musical will be returning to the Academy of Music from June 26 to August 04, 2013 as part of the Broadway Season, presented by The KimMel Center for the Performing Arts. Wicked broke box office records in Philadelphia PA and sold out in record time in 2010. Buy Wicked Philadelphia PA Tickets now! No shows on Thursday, July 4. Wicked is the untold story of the Witches of Oz. Wicked tells the incredible untold story of an unlikely but profound friendship between two girls: the blonde and very popular Glinda and a misunderstood green girl, Elphaba. Wicked Philadelphia PA Tickets are selling out quickly. Buy Wicked Academy of Music Tickets here for the performances through August 04, 2013. Wicked Broadway Musical grossed $1,748,141 and had an attendance rate of 95.9%, about 0.6% less than that of the previous week. The 28 shows on the boards grossed $24,657,288, improving around 3.45% from the previous week’s totals. Wicked musical tour is currently playing in New Orleans LA through June 02, 2013. NWT Erin Nicole goes behind the scenes of Wicked Broadway Show for Greening of Elphaba. Watch the video of the complete makeup of Alison Luff who plays Elphaba – Going Green. “It feels like being painted, sometimes it’s cold and I’m like Christina it’s cold! ” says Alison Luff who plays Elphaba. Wicked will be running through June 2nd at the Mahalia Jackson Theater. Buy Wicked New Orleans LA Tickets Online. Wicked musical will be returning to Toledo in August 2013. Wicked return engagement at Stranahan Theater will play from August 13 to September 01, 2013. Don’t miss your chance to see Wicked when it plays at Stranahan Theatre in Toledo, OH till September 01, 2013. This Broadway smash hit is based on the novel Wicked: The Life and Times of the Wicked Witch of the West. Wicked musical is the story of the Wicked Witch of the West and her path from school girl to revolting witch. Buy Wicked Toledo OH Tickets now! Wicked broke box office records and sold out quickly when it arrived Toledo in 2010. This is your chance again to see one of Broadway’s hottest shows in your own town. Pick up your Wicked Stranahan Theater Tickets NOW. 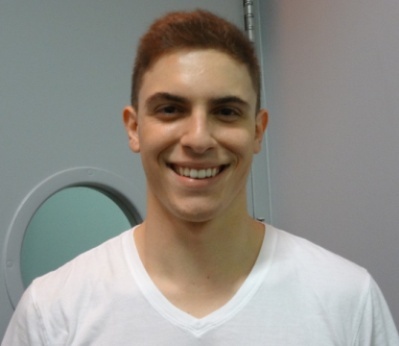 Derek Klena to make Broadway debut in Wicked as Fiyero on May 28, 2013. Kyle Dean Massey, who is currently playing the role of Fiyero, will play his final performance on Sunday, May 26, 2013 in Wicked at Gershwin Theatre. Derek Klena will star opposite the show’s incoming Elphaba Lindsay Mendez, with whom Klena starred in the off-Broadway musical Dogfight in 2012 (directed by Wicked helmer Joe Mantello). Klena will join Mendez the cast which will include Lindsay Mendez as Elphaba, Katie Rose Clarke as Glinda, Randy Danson as Madame Morrible, Adam Grupper as The Wizard, Catherine Charlebois as Nessarose, F. Michael Haynie as Boq and John Schiappa as Dr. Dillamond. Also the Elphaba, Willemijn Verkiak will play her final performance on Sunday, May 26, 2013. Lindsay Mendez will take over the role beginning May 28. Wicked is a sanding production on Broadway at Gershwin Theatre – 222 West 51st St, New York, NY 10019. Buy Wicked Broadway Tickets Online. Wicked musical will be returning to Des Moines in it’s 2013 tour. Wicked musical will be performing at Des Moines Civic Center from October 30 to November 10, 2013. Wicked broke box office records and sold out in record time when it first played Des Moines. Wicked Des Moines IA Tickets Selling Fast Online. Buy Wicked Des Moines Civic Center Tickets here for the performances through November 10, 2013. Wicked Broadway Musical grossed $1,697,007 and had an attendance rate of 96.5%, about 2.6% more than that of the previous week. The 29 shows on the boards grossed $24,246,233, improving around 3.13% from the previous week’s totals.